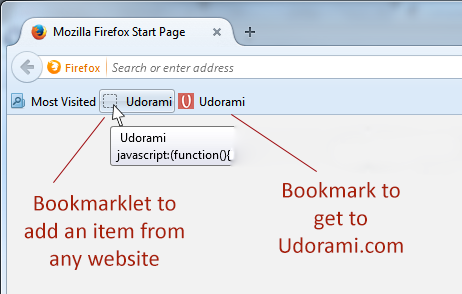 In computer-speak the Udorami button is called a bookmarklet. 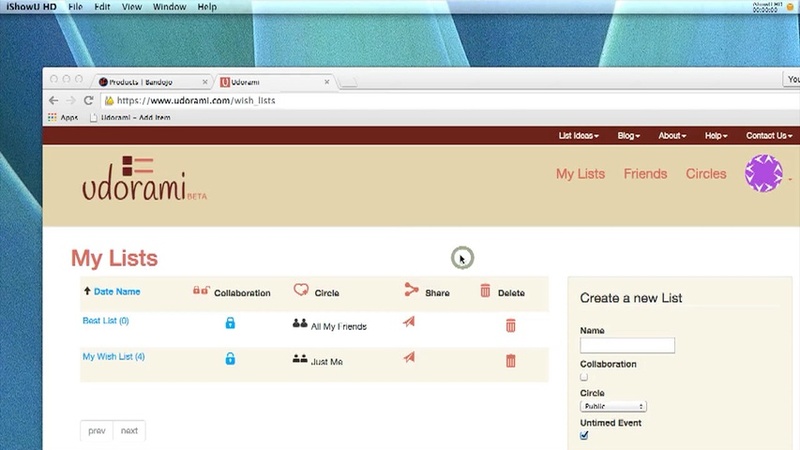 With the Udorami button installed in your browser’s bookmark bar, you will be able to add items to your lists from any website without having to go through the Udorami website first. Go to install page. For example, say you are browsing on an e-commerce site. You then see an item you like and want to add it to your list. Do you have to stop browsing, open a new tab or window, navigate to Udorami, login, find your list, then add an item?….. NO! Instead, you can stay on that original e-commerce site the entire time. Once you get to the page for the item you like, just click on the Udorami button in your bookmark bar. So the next time you do login to Udorami and view your lists, you’ll not only see the item, but you’ll be able to return to that original website via the link! Go to install page.